Sonic, Rhythm Thief, ChuChu Rocket! Sega employee Tomoya Ohtani is best knownfor serving as the sound director of Sonic’s action adventures. Born on July 1, 1974 in Tokyo, Ohtani began playing the piano at elementary school and later started to perform bass guitar in rock bands. Feeling a deep desire to start composing while he was at high school, he pursued the field further at Nihon University. Before joining Sega, the artist worked for three years working as a composer, sound designer, and sound operator for a theatre company. With a wealth of experience behind him, he was recruited to the Sega sound team in 1999. The artist made his composition debut producing quirky interactive compositions on ChuChu Rocket! Although he found the demands to produce high quality music challenging, he was delighted to be able to produce music that was simultaneously entertaining and artistic. The artist also explored the technical aspects of game audio production, working as dialogue editor on the life simulation Roommania 203 and a sound effects designer on the RPG Skies of Arcadia and Sakura Taisen 3. After his initial years at Sega, Ohtani participated in several larger-scale scores under the direction of veteran musicians such as Jun Senoue, Naofumi Hataya, and Mariko Nanba. In 2001, Ohtani made his debut on the Sonic series by making a range of compositions on Sonic Adventure 2. His compositions introduced a hip-hop style to the series that matched the cool image of the game. The artist explored further contemporary stylings on Space Channel 5 Part 2 as an assistant composer. As the title was a rhythm game, the score placed an emphasis on rhythmical components to ensure gamers felt a strong groove. Ohtani also embraced the opportunity to instil his favoured upbeat pop-influenced sound on a completely unique game, Billy Hatcher and the Giant Egg. The artist also contributed the groovy jazz-based themes for Sonic Heroes’Hang Castle and Shadow the Hedgehog’s Black Comet, while supporting the sound production for Sonic Advance 3. He gained further experience penning tracks for The Rub Rabbits, Touch de Uno! DS,Sega Rally 2006,and Phantasy Star Online: Episode III, all of which demanded unique approaches. Following these numerous assistant roles, Ohtani was promoted to the position of sound director for the first time on 2006’s Sonic the Hedgehog. Whereas previous action adventures in the series featured rock-focused scores, this title focused on worldly and orchestral stylings. 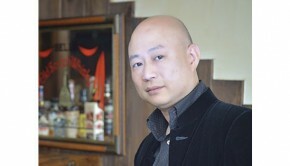 Under Ohtani’s lead, the series’ music took a more mature direction with exotic setting themes, appealing contemporary tracks, and sophisticated cinematic underscore. To achieve this, Ohtani coordinated a large team of composers, arrangers, and performers through the scoring process and recording sessions of the game. 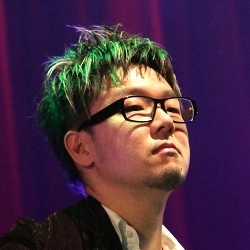 He also personally composed some of the instrumental tracks for the game and created the iconic theme song “His World”, performed by members of Zebrahead. Spanning an unprecedented three discs, the resultant score won great praise from gamers and soundtrack listeners alike. 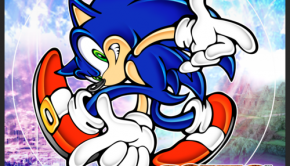 The same year, he offered plenty of worldly fusions and catchy melodies on the DS platformer Sonic Rush Adventure, inspired by the precedent of Hideki Naganuma’s previous score. He also made smaller contributions to NiGHTS: Journey of Dreams and the original Summer Olympics, Winter Olympics, and All-Star Racing crossovers of the Sonic series. 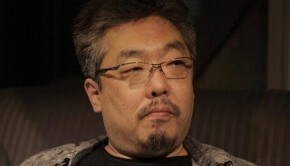 Following the success of Sonic the Hedgehog, Ohtani returned as the sound director and lead composer of Sonic Unleashed in 2008. After formulating a detailed plan, he directed each member of the large sound team on a one-to-one level to achieve the desired results. In order to emphasise the regional diversity of the game, Ohtani selected a unique instrument to represent each country, though still ensured the soundtrack was cohesive. 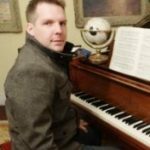 He bonded the soundtrack together with two vocal themes, including a rock-based theme song and a fully orchestrated ending theme. He returned to the role of sound director on Sonic Colors and, using a similar production approach, developed a sound that complemented the colourful and youthful image of the game. He also took a large composing role once again, creating several uplifting stage themes and the vocal themes sung by the band Cash Cash. Blending light throwbacks with mature creations, the soundtrack appealed to a range of audiences. Ohtani returned to support the production of Sonic Generations, offering remixes of favourites from the three Sonic soundtracks he directed. Away from the Sonic series, Ohtani has directed the soundtracks for two other titles, 2010’s Super Monkey Ball: Step & Roll and 2012’s Rhythm Thief and the Emperor’s Treasure. Ohtani found the light-hearted gameplay and exotic visuals of the former particularly compatible with his artistic aesthetic. To match the development of each level, the background compositions were subtly layered from minimalistic origins into rich fully-fledged pieces. The artist also placed a special emphasis on vocal tracks, writing the theme song “Just Beyond the Rainbow” in a bossa-nova style. By contrast, Ohtani matched the stylish visuals and Parisian setting of Rhythm Thief with a jazz-focused score. 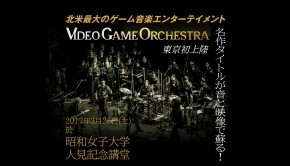 The soundtrack underscored the game’s scenes and events flawlessly, while flaunting the technical specifications of the 3DS with its big band and orchestral performances. Once again, the music director placed special emphasis on a main theme and also recorded several theme songs, including “Je ted is au revoir” in French. Ohtani adapted and performed the score for a well-received concert. Presumably working on Sonic’s next big adventure, Ohtani’s latest credit was Mario & Sonic at the London 2012 Olympic Games. © Biography by Chris Greening (September 2010). Last updated on January 27, 2013. Do not republish without formal permission. Posted on January 27, 2013 by Chris Greening. Last modified on March 21, 2014.